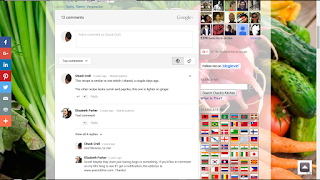 Besides the confusion about being in the right Circles, some Google+ comments can be overlooked, because of the comment view selector. We see odd problem reports, in Blogger Help Forum: Get Help with an Issue. When a friend mentioned she'd commented, I found that odd - because I couldn't find the comment anymore. It had shown up previously - but it was now gone. The view selector is not so obvious, either. It's similar to the "Compose" / "HTML" buttons, in Post Editor. Besides the view selector, we see another possibility for third party cookies, unwisely filtered, to cause confusion. 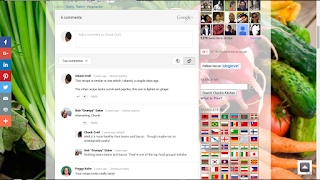 Displaying comments for a blog, with Google+ comments involved, requires determining the identity of the individual viewer. Viewer identity - much more specific than "blog owner" / "blog guest" - is required, to determine visibility of specific comments, published against a given blog. Here's an example, using a post from my recipes blog. 12 comments - from Circles + Public. 6 comments - from my Circles. Can you see the difference? 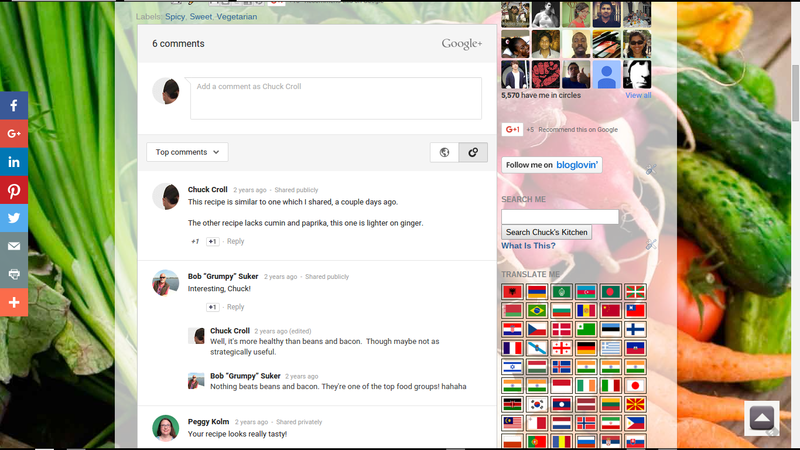 Other viewers of the blog will see a completely different set of comments. Here's a different example, from a forum topic. The blog owner, signed in, sees a count of 27 comments. The blog owner, not signed in, sees a count of 42 comments. There's actually 3 possible different displays - each showing a different comment count, and a different list of comments. Signed in, looking at "Public" + "Circles". Signed in, looking at "Circles" only. One might expect #1 and #2 to be the same. In some cases, it appears that #1 displays a total comments count - though #2 and #3 display a count specific to the blog owner or reader. And I would not expect that one will actually see a precisely equal number of individual comments, displayed. And if blog owner / reader access is affected by a third party cookie filter, both the comment count - and the list of comments displayed - will be smaller than what really should be displayed. We now have a Rollup Discussion, in Blogger Help Forum: Get Help with an Issue, where we are requesting details from anybody experiencing mysterious loss of comments, If you are losing comments, please provide your details. Owners of #Blogger blogs that use Google+ Comments don't realise how much more important their personal identity is, when looking for comments, that should be displayed with the individual posts. 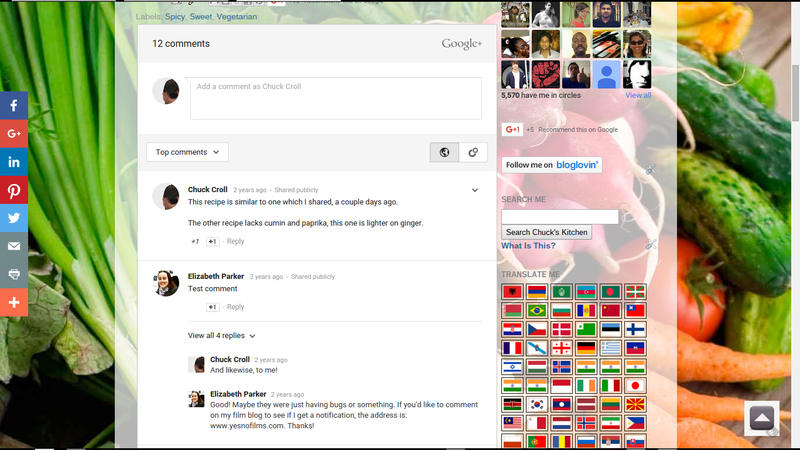 Personal identity is further relevant, with the "Circles" / "Public" comment selector, a feature of Google+ Comments. And determining personal identity is affected, when cookie filtering becomes involved. Thank you for looking into this! I'm definitely of the category: Now you see it, now you don't, all while logged in with G+. I've submitted some data to the forum. I hope that can assist with troubleshooting. "Export / Import" Is Now "Import & back up"
Recovering A Broken Template, Using "Edit HTML"